The secret to great entertainment is to connect with the audience at an event. Speakers do this by making it feel like they are talking to just you. Magicians grab your attention by showing you a trick as if it is only for you. 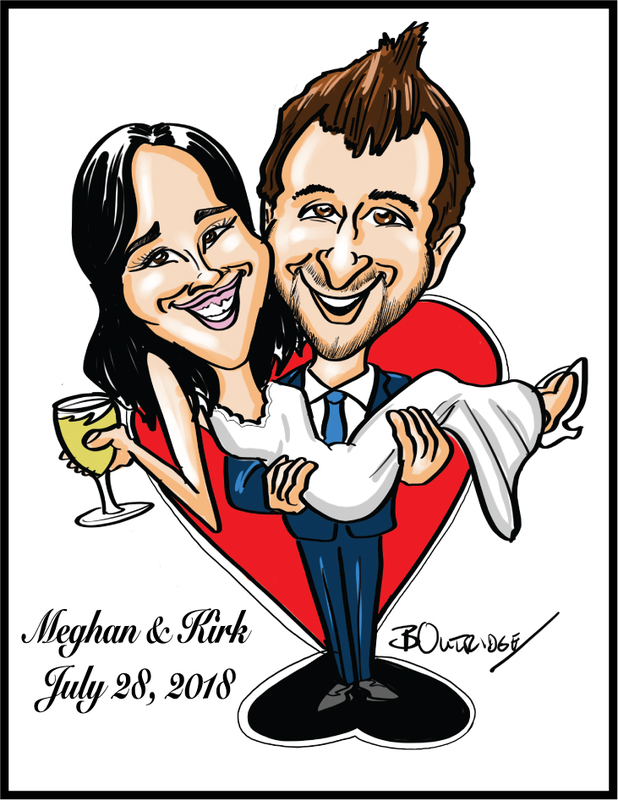 As a caricature artists it is connecting with people not only in the chair but those in line as well. This makes those standing in line want to stand there for the time that it takes and still enjoy the moment. I do my best to entertain those in the line as well as in the chair and am always glad when it is successful and the customer is happy. Additional Comment: We were blown away by Bruce’s talent!!! Not only did he provide our guests with great accurate caricatures, he was pure entertainment! He really knows how to connect with people! We will definitely be having him again at different events! Thanks Bruce, you’re the best!!!!! !